This story is about Martin Reed, a middle-aged man, still living at home with his mother and working for a cleaning company as accountant. He has a normal life that goes on and on in a simple way. The book is written in a such a way that it seems like you are just reading a novel about a man in his daily life. 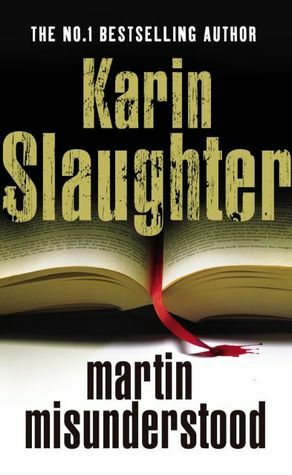 Suddenly events took place – not really written – and Martin gets accused of murder. At this point, nearly halfway the book, this book becomes a thriller story. I thought I would like the book but more and more towards the end I became less and less fond of it. I would have rated it with 1 star / 5 stars, when the story was not that genius. In the end the story is not solved, or solved in a bad sad way. Depends on how you see it, but I dislike it this way. The main character is genius written, that’s the positive thing. The pace of the story starts slow and halfway it speeds up. I have not found any grammar or spelling mistakes but some sentences were doubtful. The style of how this book is written, is not really suited for me. In my opinion it is even a psychological thriller and not just a thriller, nor a mystery crime because it is not really about the events that took place. It is more about the psychological go-through in such situations. Not what I expected to read at all. The main character is Martin Reed, a middle-aged man working as accountant at a cleaning company. He still lives with his mother Evelyn Reed together and her character totally turns 180º degrees. Nortan Shaw is the employer of Martin and his colleagues Daryl Matheson, Unique Jones, Sandra Burke and Darla Gantry. At a sudden point Martin gets visited by two detectives named Bruce Benedict and Anther Anabahda. His lawyer is Max Jergens who is a kind of pro-deo (pro bono) lawyer. And he meets Gloria Koslowski a shop owner. But from the moment on he gets the visit of the two detectives, I did not like the book anymore. That I do not like the book does not mean it is not a good book. The book (style) just not suited for me and probably I will not read it again.